Contemporary Authors Online provides complete biographical and bibliographical information and references for over 130,000 U.S. and international authors. Users can search for an author by name, title of work, nationality, date and place of birth and death, and more. The program is free of charge for the library and its patrons. 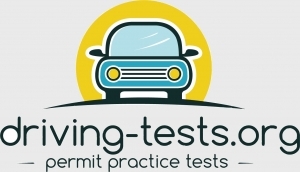 It doesn’t collect any personal information and includes unlimited online access to the DMV manuals, state-specific DMV practice tests for car, motorcycle and commercial driver’s license (CDL), exam simulator, and DMV-related FAQ. eSequels is a collection of information about book series. It lists all the books in a particular series in the correct reading order, ensuring that you begin at the beginning instead of blundering into the middle of “Act III.” It also indexes character, location, and subject as well as author and title so you can identify a series that you may recall only vaguely. Explora supports both student research and classroom instruction with simple search, easy-to-browse categories organized by popular topic, and a Curriculum Standards Module to help educators correlate content quickly and easily to Common Core and other standards. Provides integrated access to medical, statistical, health, and related information. Contains up-to-date reference material as well as full-text magazines, journals, and pamphlets from a wide variety of authoritative medical sources, all of which is reviewed by medical experts. 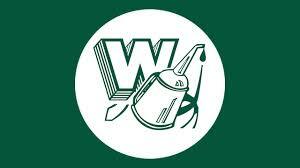 The Whiting Public Library is happy to announce that we added Gale Courses. Gale Courses offers a wide range of highly interactive, instructor led courses that you can take entirely online. As a Resident library card holder in good standing, you are entitled to these courses at no cost. Courses run for six weeks and new sessions begin every month. Provides access to the full text of nursing and allied health journals, plus the wide variety of personal health information sources in InfoTrac’s Health Reference Center, all in a single, easy-to-use database. Contains over 12 million articles published since 1980. Comprehensive full-text content for many of the most popular hobbies, crafts and recreation activities today. Full text is provided from leading hobby and craft magazines, including Bead & Button, Creative Knitting, FineScale Modeler, Quilter’s World, and many more. A resource providing home improvement assistance. Through a collection of comprehensive full-text content, provides users with detailed, user-friendly “how-to” information covering all manner of home improvement/repair projects. INSPIRE is Indiana’s Virtual Online Library includes full-text magazine and journal articles, websites, pamphlets, images, almanacs, full-text historic newspapers, multimedia, library catalogs, and much more. Whether you are interested in protecting your estate, managing a rental property, setting up a business, or any other situation requiring legal forms, LawDepot’s extensive library of documents and legal resources are able to assist you with your legal needs. First published in 1899 as a small reference book for physicians and pharmacists, The Manual grew in size and scope to become one of the most widely used comprehensive medical resources for professionals and consumers. From developing new therapies that treat and prevent disease to helping people in need, we are committed to improving health and well-being around the world. 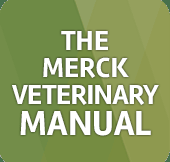 The Merck Veterinary Manual was first published in 1955 as a service to the community. Composed of content from over 400 journals, which covers all aspects of the past and current state of military affairs. Key subjects covered include: socioeconomic effects of war, governmental policies, the structure of armed forces, and many more. Oxford Reference is the premier online reference product, spanning 25 different subject areas. To access the material click the sign in button underneath where it says Whiting Public Library on the upper left hand side of the webpage. You then click on the login with Library card link and enter your library card number. For a tutorial on Oxford Reference click here. With our comprehensive multi-media packages you will be speaking and improving your language skills with every lesson by taking part in the modern, everyday conversations that make up our Interactive Audio Course. Learn a new language with Rosetta Stone. Rosetta Stone uses images, text, and sound to teach words and grammar. The first levels of Rosetta Stone courses are available for 30 different languages. Salem Press history titles include a wide range of topics spanning American history and the world. Learn about important moments and figures in our history. Whether you’re looking for how-to information on small business planning, bookkeeping, financing, human resource management, marketing, regional tax laws, or starting a home-based business, you’ll find it all in Small Business Resource Center. Resources include over 300 practice tests and courses, dozens of ebooks containing valuable study material and practice tests, information on over 4,000 accredited schools, scholarship search featuring $8 billion in available scholarships, and much more. Weiss Ratings & Grey House Publishing are the source for accurate ratings that you can rely upon to make sound, informed financial decisions. Weiss Ratings has an excellent track record for identifying and warning the public about troubled companies before they fail, and their superior results speak for themselves. Expanding on “the most useful reference book known to modern man,” The World Almanac® provides students and researchers access to authoritative, essential statistics on hundreds of topics in a searchable online format. This report includes information about the amount, location, and characteristics of surface water and ground water for the Lake Michigan Region in Indiana. By comparing the supply potential of surface-water and ground-water systems with current and projected water use, areas of potential water-use conflicts and areas of underutilized water supply can be identified. Every year since 1978 Indiana Landmarks has surveyed from two to four counties, looking for architecturally and historically significant structures and districts. The Indiana State Data Center makes the Census as well as other federal and state statistics on such topics as demographics and economics available through a statewide network of affiliates located in state agencies, universities, libraries, local planning agencies, small business development centers, and non-profit organizations. Congress created the Occupational Safety and Health Administration (OSHA) to assure safe and healthful working conditions for working men and women by setting and enforcing standards and by providing training, outreach, education and assistance. An invaluable resource for genealogical research, Ancestry provides a comprehensive guide to U.S. sources, including the U.S. census, military records, and immigration records. The database also features extensive Canadian and international collections. FamilySearch is a nonprofit family history organization dedicated to connecting families across generations. Family Search has the largest collection of genealogical and historical records in the world. Find the graves of ancestors, create virtual memorials, add ‘virtual flowers’ and a note to a loved one’s grave, etc. Also search through the graves of thousands of famous people from around the world. A database of genealogical information includes tens of thousands of family and local history books, as well as federal census data. Features unique Revolutionary War information and vital African-American records. Hoosier State Chronicles provides free, online access to high quality digital images of Indiana’s historic newspapers. A collaborative effort to provide access to the wealth of primary sources in Indiana libraries, Indiana history, and culture found in digitized books, manuscripts, photographs, newspapers, maps, and other media. CliffsNotes is the original (and most widely imitated) study guide. CliffsNotes study guides are written by real teachers and professors, so no matter what you’re studying, CliffsNotes can ease your homework headaches and help you score high on exams. A collection of multi-disciplinary reference eBooks offered by Gale. Read pro and con arguments for and against topics such as medical marijuana, euthanasia, prostitution, and gun control. Great resource to use when writing, referencing and narrowing down topics for argumentative essays. From earth science and life science, to space, technology, mathematics, science history and biographies. This revolutionary, curriculum-oriented online experience is designed to boost achievement for students and researchers. SparkNotes is a resource you can turn to when you’re confuzzled. We help you understand books, write papers, and study for tests. We’re clear and concise, but we never leave out important info. World Book’s Dramatic Learning expands proven approaches to building reading fluency and content comprehension. By turning texts into plays, skits, and monologues, providing adaptations of classic works and showing how to apply these materials in the classroom, Dramatic Learning can help students become more fluent readers, understand core concepts, and retain topical information. The eBook collection includes beautifully illustrated, engaging titles that contain such multimedia features as videos, audio, and games. The unique, interactive platform enables users to add such personalized features as bookmarks, highlights, and notes; search the text for a word or phrase; and look up words in The World Book Dictionary. Explore the history of such ancient cultures as the Egyptians, Greeks, Romans, Australian Aborigines, Maori, and Chinese, among others, in this expansive online reference collection. World Book Digital Libraries offer an online, interactive complement to World Book’s most popular print reference sets. The Early World of Learning is a leading online resource for preschoolers and children in the early primary. Developed with experts on early childhood education, the Early World of Learning offers rich resources designed for easy integration into the classroom curriculum. Enciclopedia Estudiantil Hallazgos es un sitio web de referencia general en español desarrollado especialmente para los más jóvenes usuarios de la biblioteca. Enciclopedia Estudiantil Hallazgos is a Spanish-language general reference website developed especially for younger library patrons. Comprehensive Spanish-language encyclopedia written from a Latin American perspective. Content is updated monthly. Includes maps, timelines, videos, images, and interactive activities. Inventions and Discoveries is an exploration of the transformative impact of the inventions and discoveries that continue to shape our world today, including an examination of advances in agriculture, engineering, communications, economics, manufacturing, the arts, astronomy, transportation, warfare, medicine, mathematics, and everyday items. In this comprehensive site, students explore environmental issues and current efforts to reduce human impact on the environment. World Book Digital Libraries offer an online, interactive complement to World Book’s most popular print reference sets. World Book Kids is a general reference website developed especially for our youngest learners. The site offers easy-to-read articles, multimedia, and a wealth of engaging games, interactive tools, and activities. World Book Student includes engaging content, built-in features, and fun tools specifically designed to make knowledge accessible and easy-to-find for all kids in elementary through middle school.